Located in Yangzhou City Guangling District, East of the ancient canal and near Dong Guan Street, Mercure Yangzhou Dongguanjie is a 10-minute drive away from Ge Garden, Ho Garden, Wenchang Pavilion and Slender West Lake. It is also 20 minutes away from Yangzhou East bus station. The hotel has 135 spacious and elegant rooms with great views over the ancient canal. The perfect choice for business and leisure travellers. Yangzhou is a city in China's Jiangsu province. The Grand Canal, a famous landmark in the city, is located North of the Yangtze River. Mercure Yangzhou Dongguanjie provides easy access to the shopping and entertainment districts and popular tourist attractions. The perfect choice for business and leisure travellers. 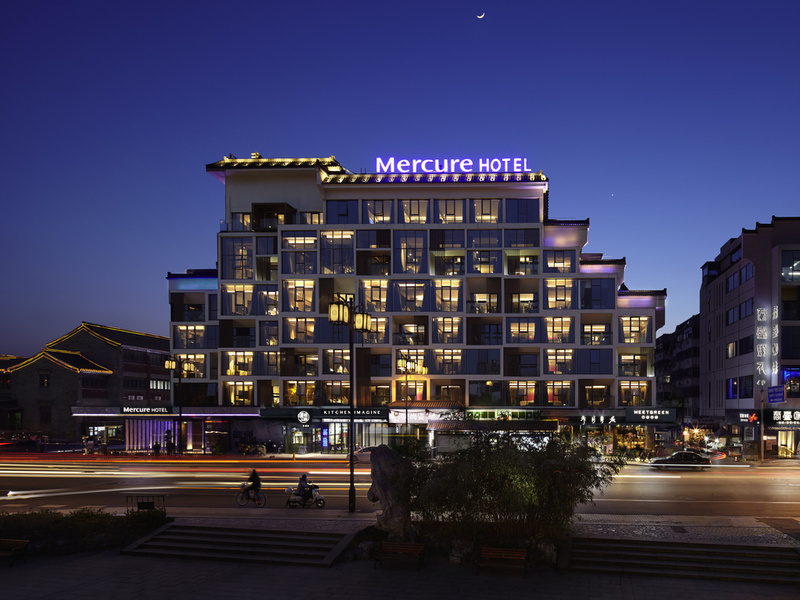 Mercure Yangzhou Dongguanjie has 135 spacious and elegant rooms with great views of the ancient canal. The French inspired restaurant serves a healthy and light buffet breakfast daily and features regional Huaiyang dishes for the rest of the day. Located on level 1, the bar and lobby lounge features a modern and romantic decoration. It is the best place to catch up with friends and business partners over cocktails and light snacks after a busy day.